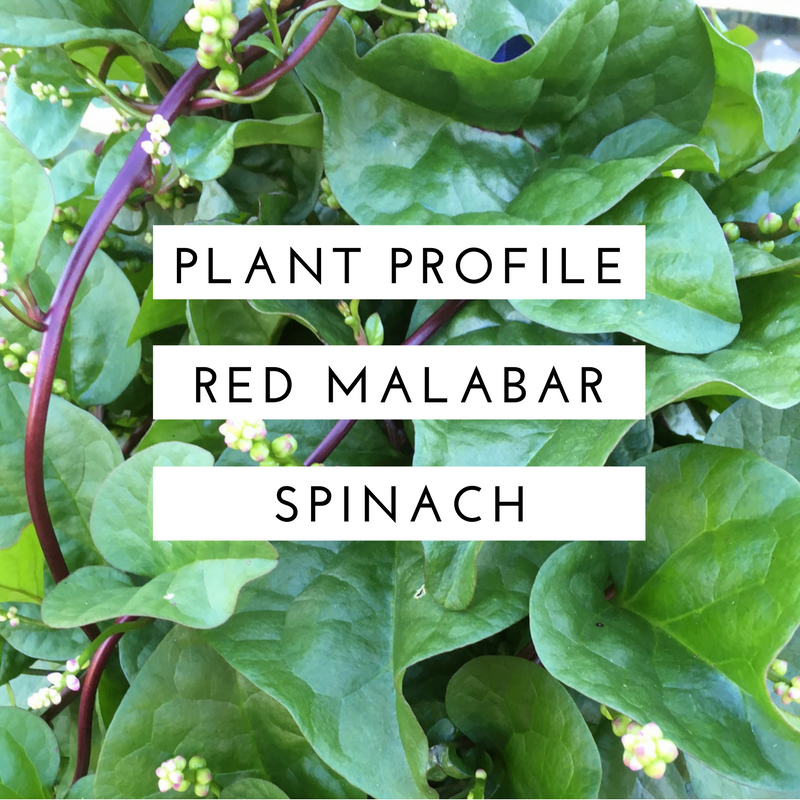 Red Malabar Spinach (Basella alba var. rubra) is a heat loving summer green that thrives when other leafy greens melt away in our Georgia heat. Germination is a bit slow and it takes a few weeks after germination before it starts running. But once it does, watch out! It does great on a trellis or arbor but can also quickly cover an area as a groundcover. Native to Asia, it is a perennial in tropical climates but will be a great summer annual here in zone 7a. Malabar is easy to grow as it has few insect pests, diseases and low water requirements. The leaves and stems are high in vitamins A and C and go well in salads and stir fries. The flower structures are somewhat showy and are visited by bees. Planted here on a metal obelisk, the plant mixes well in an ornamental setting. 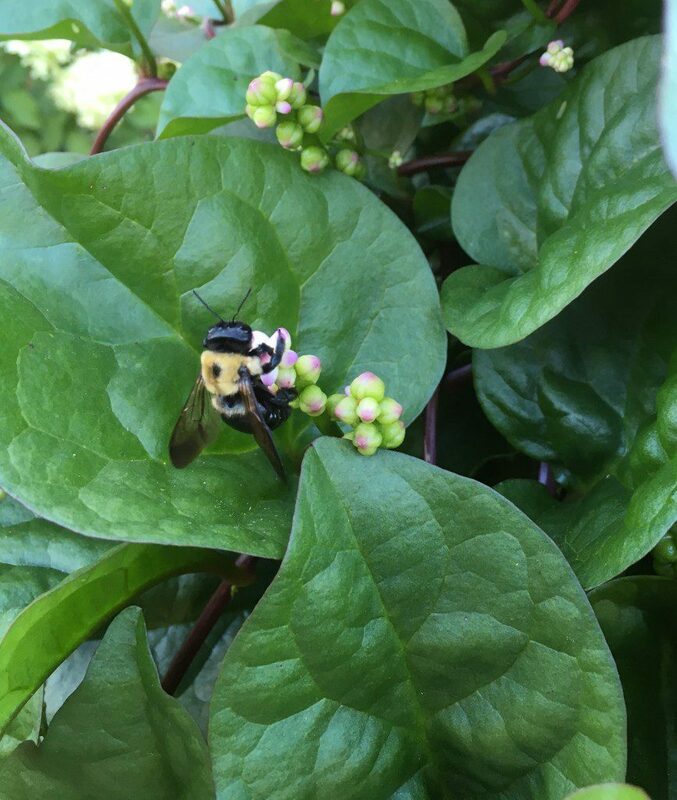 The unique flower structures are attractive accents on the plant and draw attention from pollinators. Posted in Annual Plantings, Beneficial Insects, Edible Landscape, Home Gardening, Home Landscape, Plant Profile. 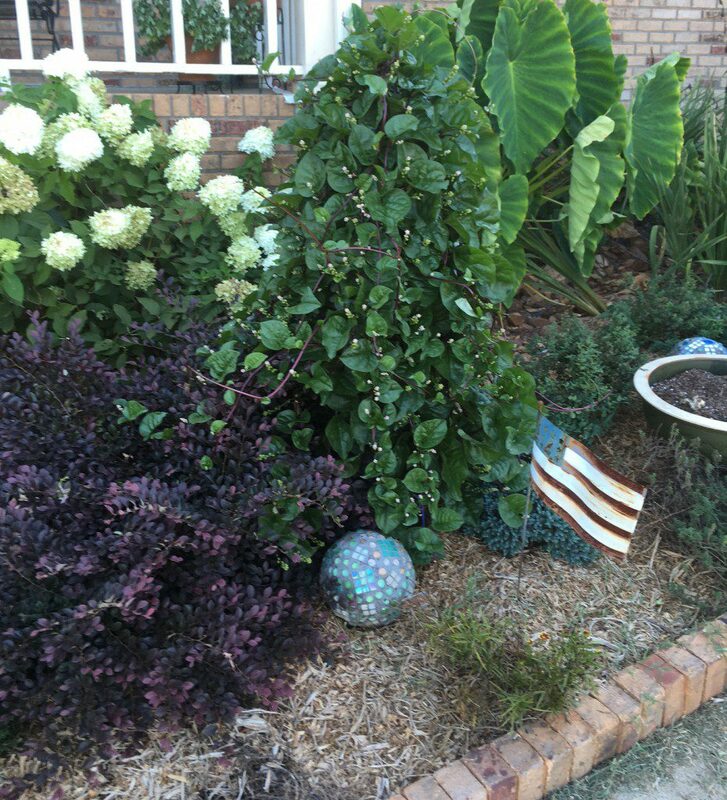 This entry was tagged climbing plants, Edible Landscaping, heat loving greens, Malabar spinach, plant profile, summer greens, trailing plants. Bookmark the permalink.